On a late-night shift, Chief of Police Kate Burkholder is called to the scene of an apparent suicide—an old man found hanging from the rafters in his dilapidated barn. But evidence quickly points to murder and Kate finds herself chasing a singularly difficult and elusive trail of evidence that somehow points back to the tragedy of that long ago incident. Meanwhile, Kate has moved in with state agent John Tomasetti and for the first time in so long, they're both happy; a bliss quickly shattered when one of the men responsible for the murders of Tomasetti's family four years ago is found not guilty, and walks away a free man. Will Tomasetti be pulled back to his own haunted past? 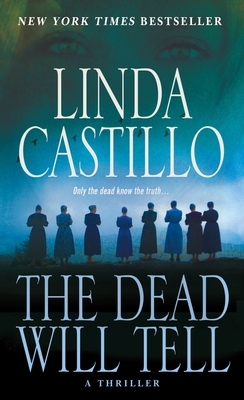 Linda Castillo is the New York Times bestselling author of the Kate Burkholder novels, including Sworn to Silence which was adapted into a Lifetime Original Movie titled An Amish Murder starring Neve Campbell as Kate Burkholder. Castillo is the recipient of numerous industry awards including a nomination by the International Thriller Writers for Best Hardcover, the Daphne du Maurier Award of Excellence, and a nomination for the RITA. In addition to writing, Castillo’s other passion is horses. She lives in Texas with her husband and is currently at work on her next novel.